Gunes A, Bulut E, Akgoz A, Mocan B, Gocmen R, Oguz K. Trigeminal nerve and pathologies in magnetic resonance imaging – a pictorial review. Polish Journal of Radiology. 2018;83:289-296. doi:10.5114/pjr.2018.76921. Gunes, Altan, Elif Bulut, Ayca Akgoz, Burce Mocan, Rahsan Gocmen, and Kader Karli Oguz. 2018. "Trigeminal nerve and pathologies in magnetic resonance imaging – a pictorial review". Polish Journal of Radiology 83: 289-296. doi:10.5114/pjr.2018.76921. Gunes, Altan et al. "Trigeminal nerve and pathologies in magnetic resonance imaging – a pictorial review." Polish Journal of Radiology, vol. 83, 2018, pp. 289-296. doi:10.5114/pjr.2018.76921. The trigeminal nerve (TN) is the largest cranial nerve, which has a broad distribution territory . It is a mixed sensitive-motor cranial nerve, receiving sensory afferent fibres from the face and mouth, and providing motor innervation to the muscles of mastication. A wide range of pathologies, including vascular, ischaemic, inflammatory, and neoplastic, can affect TN. Magnetic resonance imaging (MRI) is considered the primary method for evaluating patients with symptoms related to TN. TN originates from the brainstem and follows a long and complex course towards its distribution territory. TN can be divided into four segments (brainstem, cisternal, Meckel’s cave-cavernous sinus, extracranial). The nucleus of TN is found in the brainstem. Its roots exit from the pons, traverse the prepontine cistern, and enter Meckel’s cave where the ganglion of TN lies and forms the peripheral branches (ophthalmic [V1], maxillary [V2], mandibular [V3]). V1 and V2 continue within the cavernous sinus and then V1 reaches the orbit via the superior orbital fissure and V2 reaches the pterygopalatine fossa via the foramen rotundum. V3 exits Meckel’s cave, enters the foramen ovale, and joins with the motor root, which bypasses the TN ganglion just below the foramen and reaches the infratemporal fossa [1, 2]. The purpose of this review is to show MRI findings of the pathology of TN by using a segmental approach. The most common brainstem lesions causative for TN symptoms are multiple sclerosis, glioma, and infarction . Demyelinating lesions of multiple sclerosis sometimes affect the pontine trigeminal pathways . On T2-weighted and fluid attenuation inversion recovery (FLAIR) imaging, a high signal intensity ovoid lesion is seen in the area of the trigeminal nucleus. Similar additional lesions may be identified in the periventricular or juxtacortical/cortical white matter and the cerebellum, confirming dissemination in the space criteria of McDonald  (Figure 1). Expansion of the brainstem by infiltration of the tumour can cause multiple cranial nerve palsies. The most common form of brainstem tumour is glioma, which mostly arises in the pons. Brainstem gliomas constitute 10-20% of all posterior fossa tumours in childhood but occur also less commonly in adults . MRI is the most accurate way to diagnose and to assess the extent of the tumour  (Figure 2). The infarction of the brainstem often involves impairment both of the cranial nuclei and the long tracts and can cause nerve palsies. Most of the brainstem infarctions are ischaemic and occur secondarily to occlusion of small perforating arteries of the posterior circulation. Diffusion-weighted imaging (DWI) is useful to look for ischemic lesions  (Figure 3). TN symptoms can be caused by vascular and neoplastic lesions within the cistern . Neurovascular compression is defined as abnormal contact between the vessel and the root entry zone, which is situated adjacent to the pons. This compression is the most common cause of trigeminal neuralgia . Tortuous branches of posterior circulation vessels, especially the superior cerebellar artery, may compress TN and cause focal loss of myelin [8,9]. Other vascular lesions (aneurysms, arteriovenous malformations, dural arteriovenous fistula, and ectasias) may also result in neurovascular compression. This compression is best demonstrated on 3D high-resolution steady-state free precession (SSFP) sequences and 3D time-of-flight (TOF) angiography (Figure 4). Schwannomas are the most common primary tumour of TN. Their localisations often determine the symptoms with which the patient presents. They may arise in any segment of TN and usually show homogenous enhancement (Figure 5). The large schwannomas can have inhomogeneous signal intensity due to haemorrhage and cyst formation (Figure 6). TN may also be affected by lesions such as meningiomas and epidermoid cysts . Meningiomas typically appear as extra-axial masses with a broad dural base and show intense homogenous enhancement with thickened adjacent dura  (Figure 7). An epidermoid cyst is a benign congenital lesion of ectodermal origin, the characteristic finding of which is a very bright signal on DWI  (Figure 8). Meckel’s cave or cavernous sinus may be involved by vascular, neoplastic, and inflammatory lesions. Intracavernous carotid aneurysms and carotid cavernous fistula may compress the cavernous sinus and may be associated symptoms of TN [8, 13] (Figure 9). Also, some pituitary adenoma can infiltrate the cavernous sinus (Figure 10). MR imaging and TOF angiography are the most accurate ways to assess the extent of adenoma and to show the vascular anatomy and abnormality. In inflammatory and infectious disease, such as Gradenigo’s syndrome, the abducens nerve as well as the Gasserian ganglion may become involved . The abnormal contrast enhancement of meninges, nerves, and cavernous sinus thrombosis can be seen on MR imaging (Figures 11 and 12). Metastatic involvement of TN may be seen as direct infiltration or secondary to haematogenous-leptomeningeal dissemination (Figures 13-17). 3D contrast-enhanced magnetisation-prepared rapid-acquisition gradient-echo (MP-RAGE) sequence is very useful for demonstration of these lesions (Figure 18). Extracranial causes of TN symptoms include neoplastic and fibro-osseous lesions. The branches of TN are most commonly involved in perineural spread of head and neck malignancies such as adenoid cystic carcinoma and squamous cell carcinoma . On imaging, enhancement and irregular thickening of the nerve, widening of the neural foramen, and atrophy of the supplied muscles can be seen  (Figure 19). The fibro-osseous lesions may affect the skull-base neural foramina and cause pressure or infiltration of TN branches. Chordoma, chondromatous lesions, and metastases are common among these lesions (Figures 20 and 21). 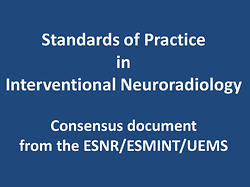 Routine brain MR imaging protocols (T1-weighted spin echo, T2-weighted turbo spin echo, FLAIR, DWI, susceptibility-weighted imaging) help to exclude and evaluate other causes that could mimic the symptoms. A protocol should include 3D TOF angiography, and 3D SSFP and 3D MP-RAGE sequences before and after contrast injection. 3D SSFP sequences provide superior delineation of vascular structures and nerves in the cerebrospinal fluid spaces (Figures 4, 5 and 8). 3D TOF and MP-RAGE sequences are very helpful for demonstration of the neurovascular contact and contrast enhancing lesions along the course of the TN [9,11] (Figures 4 and 12). MR imaging has increased the role of the diagnosis of TN disorders with the implementation of high-resolution 3D imaging sequences. Knowledge of TN anatomy is essential for correct interpretation of the images and accurate diagnosis. 1. Laine FJ, Smoker W. Anatomy of the cranial nerves. Neuroimag Clin N Am 1998; 8: 69-100. 2. Williams LS, Schmalfuss IM, Sistrom CL, et al. MR imaging of the trigeminal ganglion, nerve, and the perineural vascular plexus: normal appearance and variants with correlation to cadaver specimens. Am J Neuroradiol 2003; 24: 1317-1323. 3. Kamel H, Toland J. Trigeminal nerve anatomy: illustrated using examples of abnormalities. Am J Roentgenol 2001; 176: 247-251. 4. Majoie C, Hulsmans F, Castelijns JA, et al. Symptoms and signs related to the trigeminal nerve: diagnostic yield of MR imaging. Radiology 1998; 209: 557-562. 5. Polman CH, Reingold SC, Banwell B, et al. Diagnostic criteria for multiple sclerosis: 2010 revisions to the McDonald criteria. Ann Neurol 2011; 69: 292-302. 6. Packer RJ, Nicholson HS, Vezina LG, Johnson DL. Brainstem Gliomas. In: Berger MS (ed.). Pediatric Neuro-oncology. Vol 3. Saunders, Philadelphia 1992; 863-879. 7. Valls‐Solé J, Vila N, Obach V, et al. Brain stem reflexes in patients with Wallenberg’s syndrome: correlation with clinical and magnetic resonance imaging (MRI) findings. Muscle Nerve 1996; 19: 1093-1099. 8. Borges A, Casselman J. Imaging the trigeminal nerve. Eur J Radiol 2010; 74: 323-340. 9. Lutz J, Linn J, Mehrkens JH, et al. Trigeminal neuralgia due to neurovascular compression: high-spatial-resolution diffusion-tensor imaging reveals microstructural neural changes. Radiology 2011; 258: 524-530. 10. Majoie C, Verbeeten Jr B, Dol JA, Peeters F. Trigeminal neuropathy: evaluation with MR imaging. Radiographics 1995; 15: 795-811. 11. Helie O, Soulie D, Sarrazin J, et al. Magnetic resonance imaging and meningiomas of the posterior cerebral fossa. 31 cases. J Neuroradiology 1995; 22: 252-270. 12. Fitt AW, Pigott TJ, Marks PV. Undiagnosed epidermoid cyst presenting as trigeminal neuralgia: a need for MRI. Brit J Neurosurg 1984; 8: 101-103. 13. Gonella MC, Fischbein NJ, So YT. Disorders of the trigeminal system. Semin Neurol 2009; 29: 36-44. 14	Lee JH, Lee HK, Park JK, et al. Cavernous sinus syndrome: clinical features and differential diagnosis with MR imaging. Am J Roentgenol 2003; 181: 583-590. 15. De Marco JK, Hesselink JR. Trigeminal neuropathy. Neuroimag Clin N Am 1993; 3: 105-128.